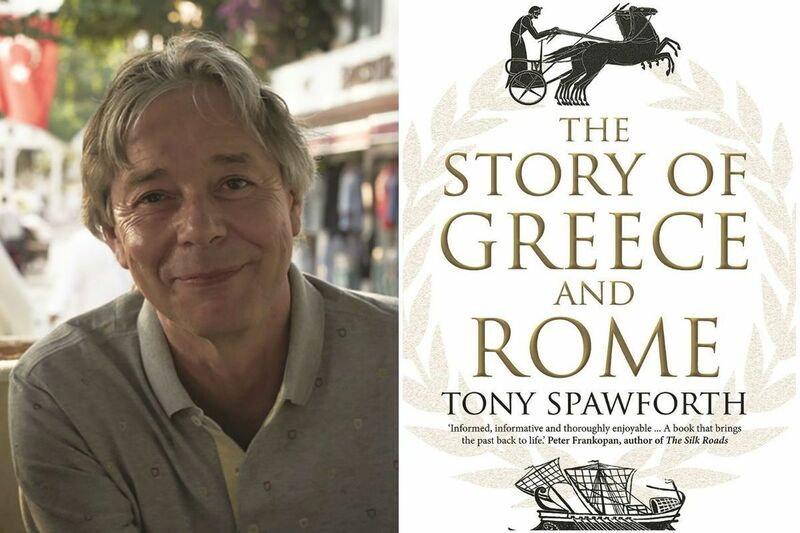 Tony Spawforth, author of "The Story of Greece and Rome." From time to time, people ask me, “What’s a good history of Greece and Rome I can read?” From now on, I think I’ll recommend this one, a readable tour for all readers. In The Story of Greece and Rome, onetime professor of ancient history Tony Spawforth has given us a sweeping, beautifully written story covering eight and a half millennia, from the first traces of Neolithic life in what we now call Greece to the fadeaway of Rome in the late 400s A.D. We get the well-known stops on this tour — the Minoans, the Mycenaeans who displaced them, the Dark Age, the Iliad and Odyssey, then the rise of the “classical” Greece that began Western civilization (or so we like to think, as Spawforth points out). Then Rome, from village alliance to world empire, meeting along the way Julius Caesar, Augustus, Cicero, Virgil, Nero, and a cavalcade of generals, warmongers, thugs, and, crucially, historians. With Spawford as our guide, we grasp a world less of myths and superheroes than of people who really lived. “With the swords but minus the sorcery,” he writes, “the upheavals in the world following Alexander’s death would not seem alien to fans of Game of Thrones” – such a graceful way to begin a discussion of one of the most confusing stretches of Greek history ever. He praises a “peculiar” bust of the “jowly” warlord Pompey the Great for its “enviously full head of hair” and "the artfully rendered quiff of lustrous locks,” poking fun at the warlord’s self-regard. And it has tantalizing mysteries and controversies. If the Minoans were so flourishingly successful, who the heck were they, what language did they speak, and how come they have no art about kings or wars? How much of Homer should we take as accurate? Granting there was a Trojan war of some sort, why? How big a deal was it really? Priam and Paris appear to be real people, but what about the head guy, Agamemnon, called “king of all the Greeks,” when we can find no evidence there was such a king? Who were the Trojans? What about those Etruscans? And exactly what role did Christianity play in hastening Rome’s exit?